Rare opportunity! 5 bedroom spacious home in Greentree Manor w/ private resort backyard w/ large pool & no back neighbors! Private study w/ french doors, large formal dining, & grand foyer w/ winding staircase greets guests as they enter this stunning home. Rich wood floors in main living areas. Large island kitchen w/ more cabinet space than you will ever use! Chef’s delight w/ gas cooktop and tons of counter space. Beautiful wall of windows and door to backyard opens the pool area & outdoor kitchen into indoor/outdoor living. Great for entertaining! Two-story windows in large den overlook pool and den offers plenty of seating for large gatherings. Master bedroom is privately tucked away and features sitting area overlooking private green space & pool. Master bath features double vanity, shower and separate tub. HUGE master closet. Back staircase leads to large gameroom upstairs plus 4 large bedrooms & 2 full baths upstairs. Storage galore! Portechachere for extra parking. Dont miss! Please, send me more information on this property: MLS# 53291037 – $419,000 – 5330 Hickory Village Drive, Kingwood, TX 77345. 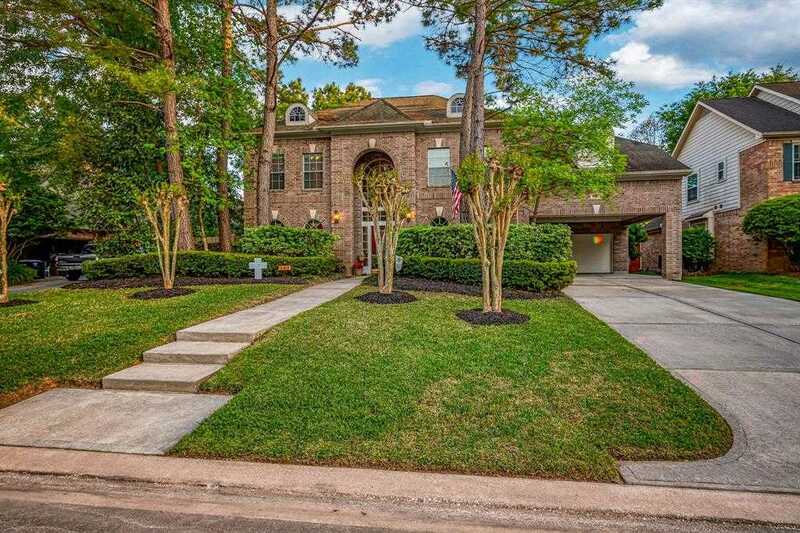 I would like to schedule a showing appointment for this property: MLS# 53291037 – $419,000 – 5330 Hickory Village Drive, Kingwood, TX 77345.